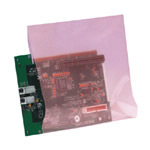 These anti-static bags help protect sensitive electric components from electrostatic discharge (ESD). The material is fully heat sealable with an amine free interior. Bags can be taped or heat sealed. Poly Bags - Poly Plastic Bag, Pink, Anti Static, 2 mil. 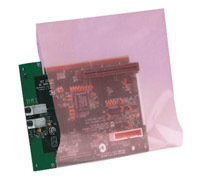 Click Here Poly Bags - Poly Plastic Bag, Pink, Anti Static, 4 mil. Click Here Poly Bags - Poly Plastic Bag, Pink, Anti Static, 6 mil.